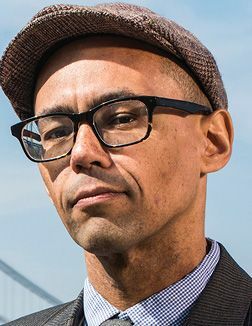 Novelist Victor LaValle tapped 25 other writers of speculative fiction to create the new anthology A People’s Future of the United States. Below, the author of The Changeling and The Ballad of Black Tom names six favorite recent works. Fever Dream by Samanta Schweblin (2014). This is a novel that I read so quickly I had to go back and start again as soon as I was done. It’s a nightmarish confession from a mother to a child who’s not her own, but also a tale of environmental terror and a kind of ghost story. Things We Lost in the Fire by Mariana Enríquez (2016). This collection’s 13 short stories, all set in Argentina, feel at once contemporary and timeless—half fairy tale, half current events. Enríquez is an heir to Shirley Jackson. For me, there’s no higher compliment. The Dark Dark by Samantha Hunt (2017). Hunt—the author of The Seas, Mr. Splitfoot, and The Invention of Everything Else—is one of the finest stylists writing in the English language. The stories in her first collection of short fiction are as sharp, funny, and deeply disturbing as one has come to expect from her. Her imagination is matched by her profound wit, and this book is a recent treasure. Boy, Snow, Bird by Helen Oyeyemi (2014). In this retelling of “Snow White” set in the United States in the 1950s, the always brilliant Helen Oyeyemi uses the new setting and time period to explore thorny questions of identity and race. All that is coupled with her glorious prose to make a fantastic tale. An Unkindness of Ghosts by Rivers Solomon (2016). The closest to a true work of science fiction on this list, Solomon’s novel tells the story of the HSS Matilda, a spaceship that carries humanity’s survivors through the stars following the destruction of Earth. Within the ship’s walls, people are divided into masters and slaves. Aster is a sharecropper who wishes to escape, but to do so she must foment rebellion. It’s one hell of a debut novel. Trail of Lightning by Rebecca Roanhorse (2018). Maggie Hoskie is a monster hunter who does her work on the Navajo lands of Arizona and New Mexico in a near future following an apocalyptic climate-driven flood. A search for a missing girl sends Hoskie and a medicine man on a journey that takes the reader deep into fantasy, Navajo faith, and climate-disaster territory. The resulting adventure is riveting and relentless.